A wearable silhouette and a soft leather upper set the Born Amil apart from the rest. 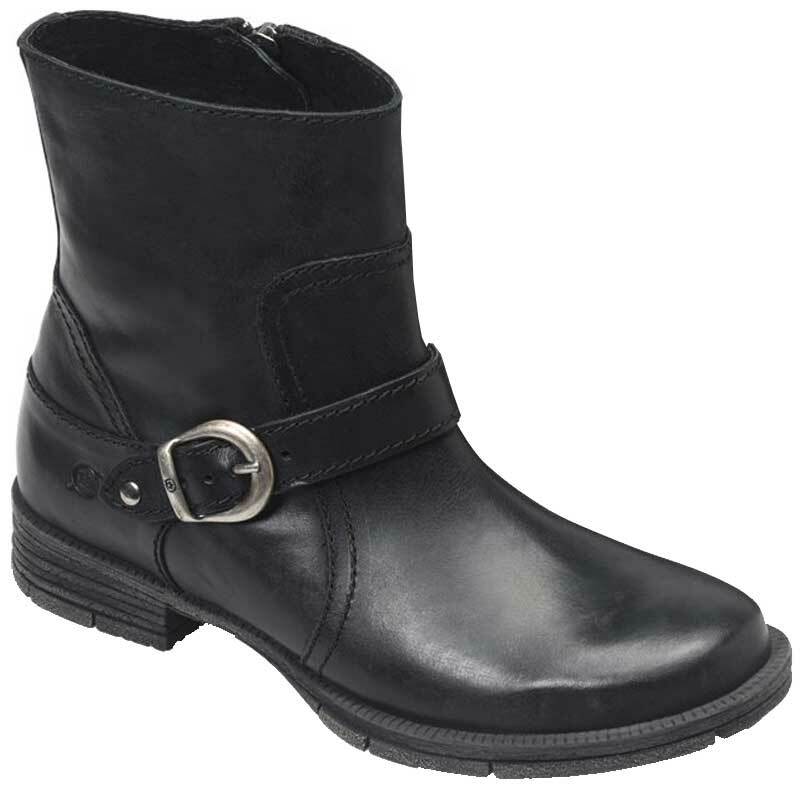 This women’s boot is made from full grain leather and has harness detail with a functional buckle and an interior zipper for on/off ease. Microfiber linings are easy on the foot and a microfiber covered latex insole offers instant and lasting support. Born’s Opanka Construction makes this bootie flexible and a durable outsole provides traction without a lot of added weight. With both comfort and style that don’t quite, the Born Amil has it all. Very comfortable boots! Fit just right with enough room to wear thick socks. The leather is smooth and quality. Nice looking boots.